If you are a working parent or simply need to run some errands for a few hours a day, these day care centers in BM can be the best resource for you. Your kids will learn and have fun and you will have plenty of time to get all of your work done. BSmart Learning Center in Bermuda primarily offers programs which prepare your child for school, with a number of extra services available in addition to the mainstream, regular curriculums. Depending on your individual child care service needs, you can choose between a number of stimulating and fun programs, such as the Smart After School Program, Piano and Voice Lessons, Parents' Night Off and a number of Summer Camp Programs. Children don't only have a place to go, but they also learn some valuable skills to use going forward. 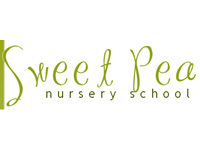 With a focus on toddlers aged two and three years, Sweet Pea Nursery School in Bermuda prides itself in availing the highest quality in child care, paying special attention to the early development needs of children in preparation for the years to come. A clean, fun, safe and stimulating nursing environment is the best gift you can give your child in their early childhood development, helping them to integrate socially and learn some developmental and intellectual skills they'll need in the future. 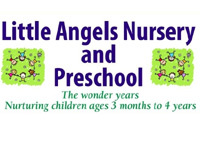 Little Angels Nursery & Preschool in Bermuda offers child development via the implementation of the High Reach Learning Program, with a curriculum founded on the fundamentals of continuous child development, unique developmental stages in each child, building relationships and interactions and meaningful, active play that enhances learning. Development is enhanced through effective use of music, fun/play and laughter, with children aged three months right up to four years catered to. Unannounced visits are encouraged in promotion of the open-door policy. 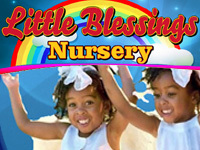 With a fundamental philosophy of each individual child being important, Little Blessings Nursery in Bermuda is effective in advocating the development of your child, with teachers and care-givers that are parents themselves. At Little Blessings Nursery, your child's development is covered in a wholesome approach, with all areas of life focused on, including intellect, emotions, social skills, creativity and even spirituality. 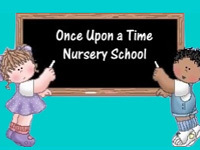 You can rest-assured your child is in good hands, in a Christian based nursery. 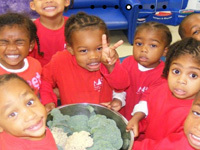 The Seasons Learning Center in Bermuda has a simple mission, which is to provide an environment for children to explore every depth of their potential. Learning is advocated through various means and not confined to the limitations of conventional learning methods. 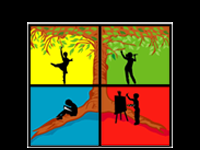 Your child could very well be destined to be a singer, dancer, artist or intellect and the Seasons Learning Center is here to give them that platform to discover their true calling and any hidden talents they may have, in a fun, safe, encouraging environment. 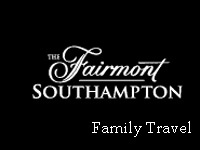 If you are travelling with kids in tow and might have some business to take care of during the day, the Bermuda Fairmont Southampton Hotel should be a consideration as they have excellent childcare offering under their family packages. Experienced child-minders are available on request, with a very flexible baby-sitting service charged at $15 an hour (minimum three hours). Alternatively, the Explorers Kids Club Camp is available for kids five years and older, but bookings for both services must be made in advance. 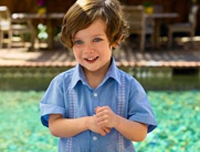 Rosewood Tuckers Point in Bermuda is one of the few hotels where a full family approach is taken, with a specialized program synthesized especially for travelers with kids that might need to be kept occupied, during times when the adults need some time to themselves. The Rose Buds for Children program will not only keep your kids aged 4-12 occupied, it will entertain and stimulate them considerably. Golf clinics, tennis lessons, beach club swimming, arts and crafts, cooking lessons…there's a lot of fun to be had! The qualified, experienced and passionate staff at the Bermuda Happy Valley Child Care Centre understand the link between playing and learning, which is why they advocate learning through play, by providing a constructive and conducive environment to fast-track this fun learning process. The daily curriculum implemented at the Happy Valley Child Care Centre helps build children up in preparation for the mental, physical and social requirements they will have to endure later on in their lives, with an open-door policy adopted, allowing parents to peek in on their little ones' progress. 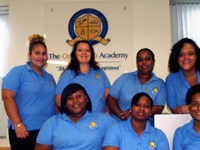 In choosing the Bermuda Onionpatch Academy as your child's preferred infant day care institution, you will be making the best choice since this is a premium infant day care service. From the fully-trained and suitably qualified staff, competent in child education, psychology and first-aid, to the facilities and environment your child will be afforded, you can be sure they are getting the best early childhood education. The research based Pinnacle curriculum is complemented by premium facilities such as in-class computers and whiteboards, while social, emotional, intellectual and physical development is facilitated. An open door policy gives you, as a parent, the chance to sneak a peek into your child's development in progress, with happy children having a lot of fun while learning in the process. The teaching groups at the Bermuda Once Upon a Time Nursery School are divided into three categories for better management, including the Butterflies (comprised out of the Caterpillars and Whirlabouts) and the Monarchs. Caterpillars are children aged 2-3 years, Whirlabouts 3-4 years and Monarchs 4-5 years. Each group has their own teacher for 12-14 kids, with an assistant to help out.